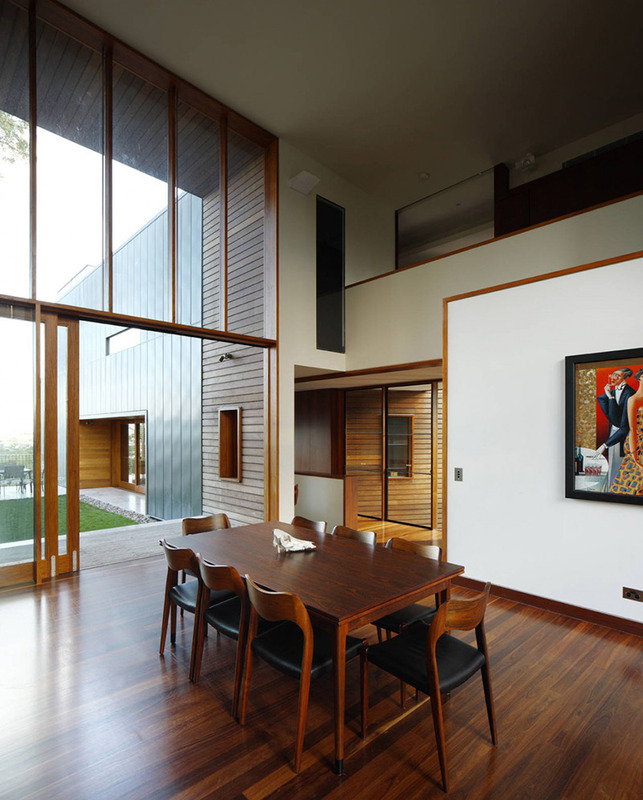 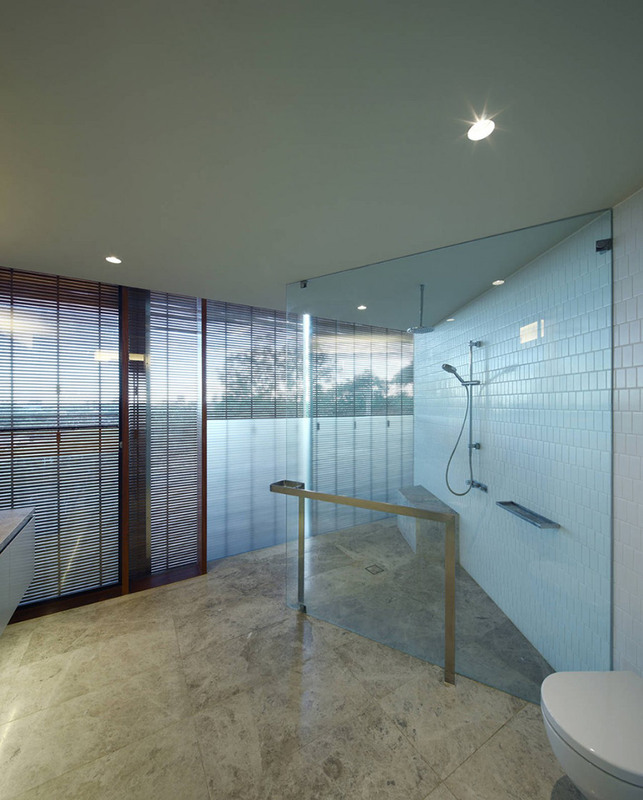 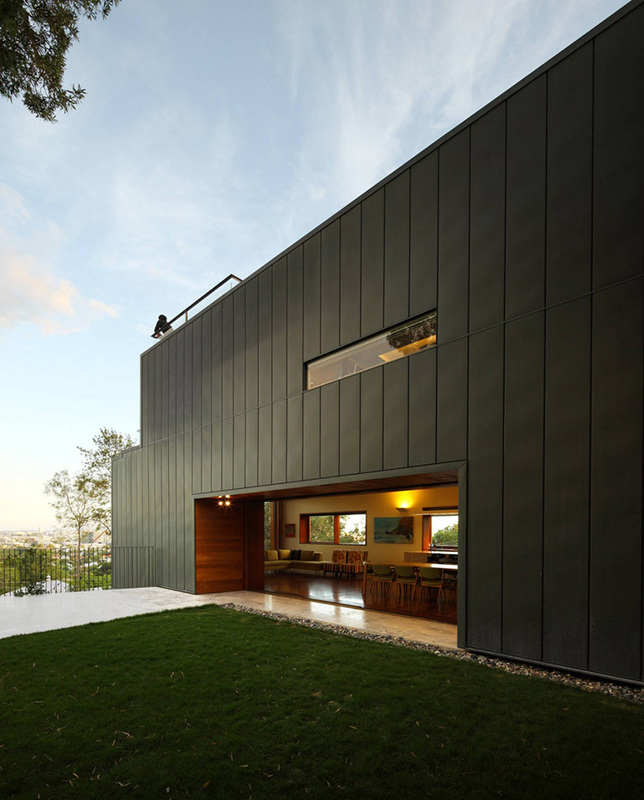 The Rosalie Residence was completed in 2010 by the Brisbane based studio Richard Kirk Architects. 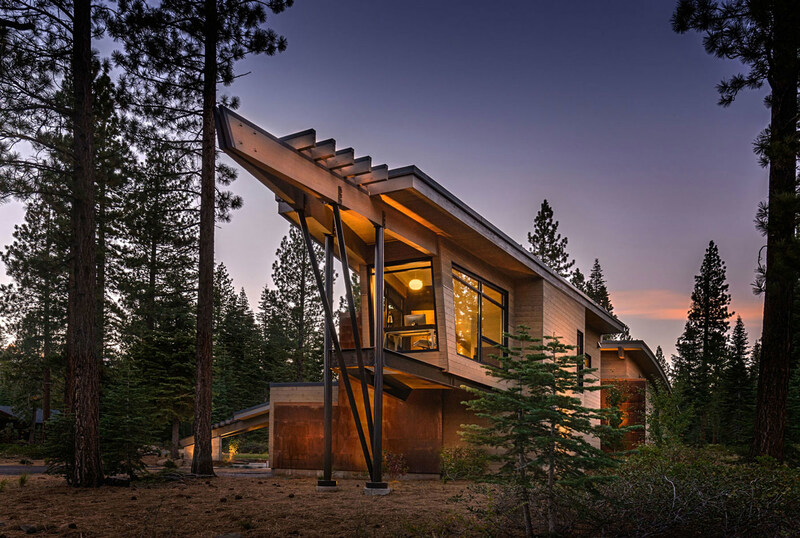 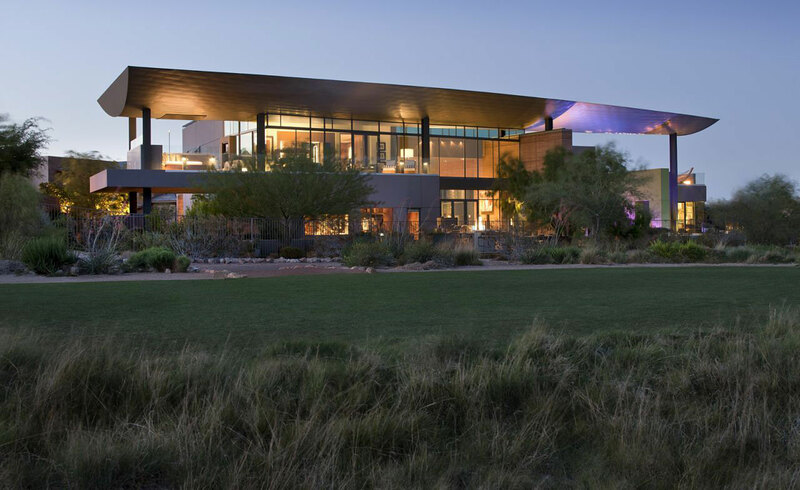 This contemporary home is an eco-friendly build, featuring rainwater storage, energy efficient lighting and solar hot water. 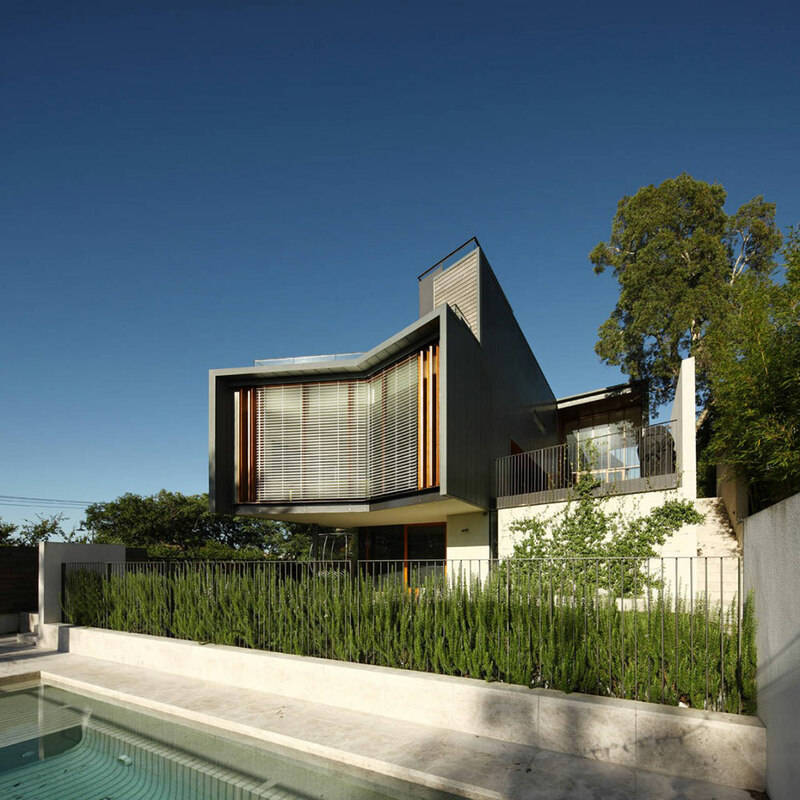 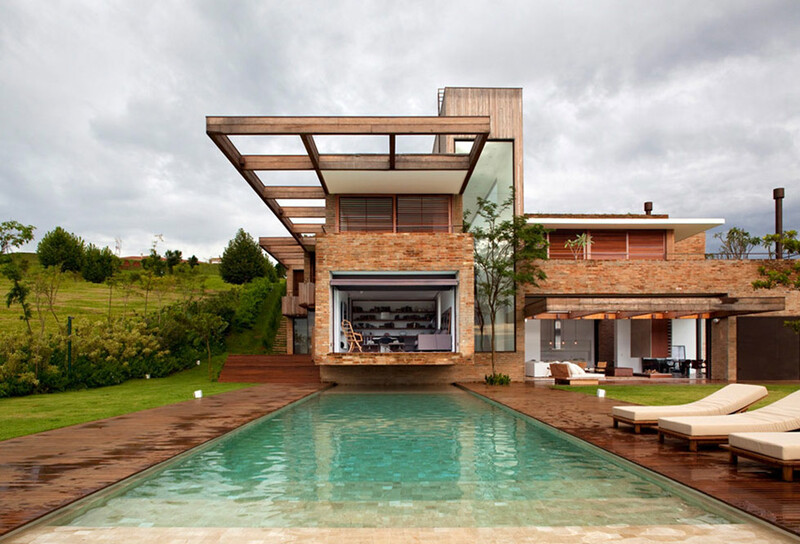 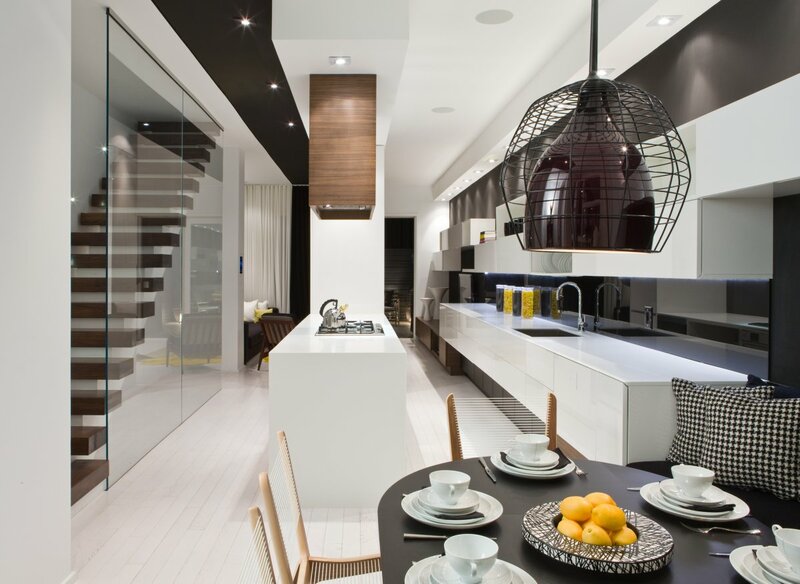 The Rosalie Residence is located in in Brisbane, Queensland, Australia. 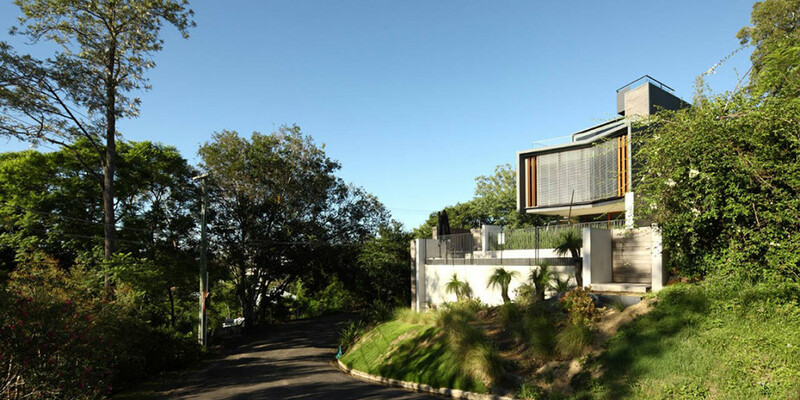 “Rosalie House by Richard Kirk Architect (RKA) is located in one of Brisbane’s most established inner city suburbs. 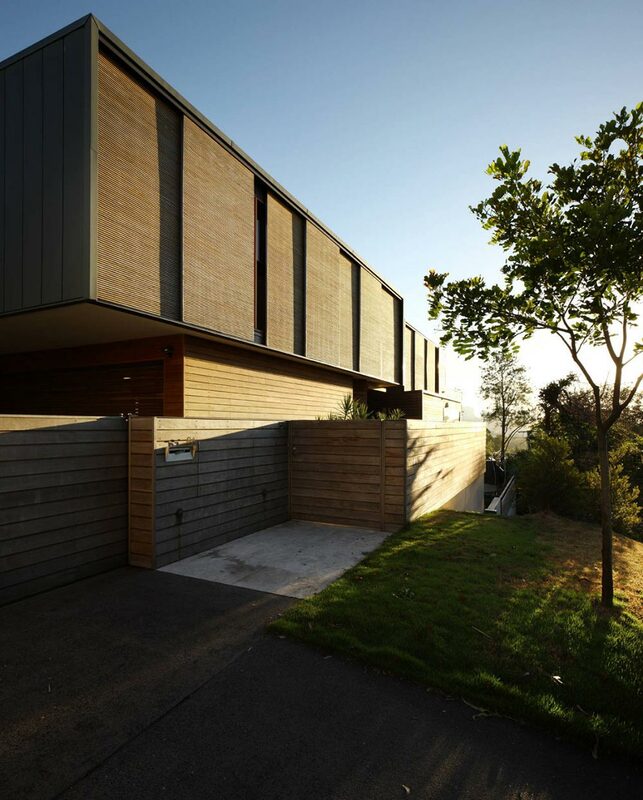 This 5-bedroom family home sits on a hillside among the peaks and gullies that characterizes the suburb of Paddington. 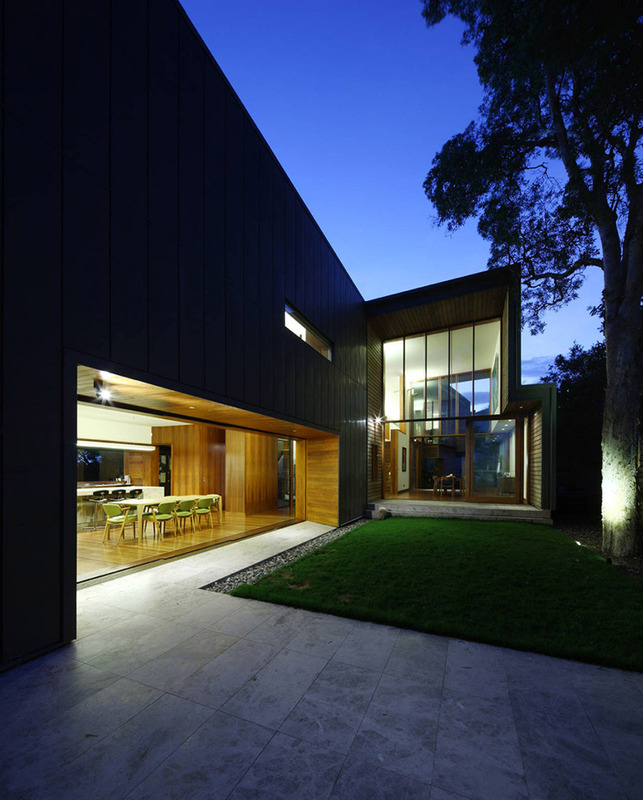 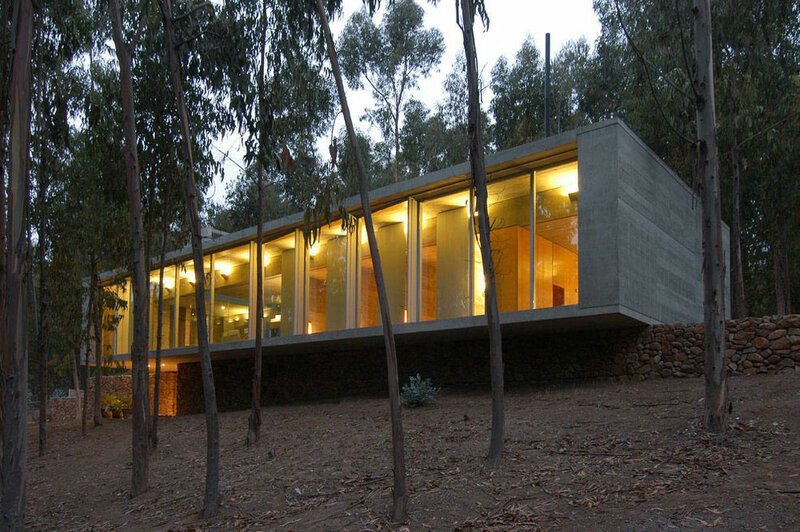 Rosalie House has a solid base that rises up as a 3-storey lightweight structure. 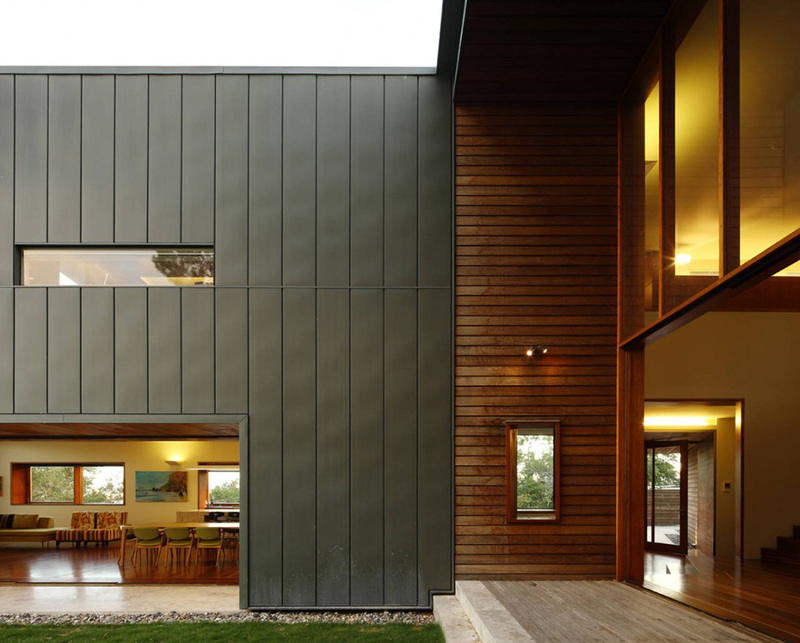 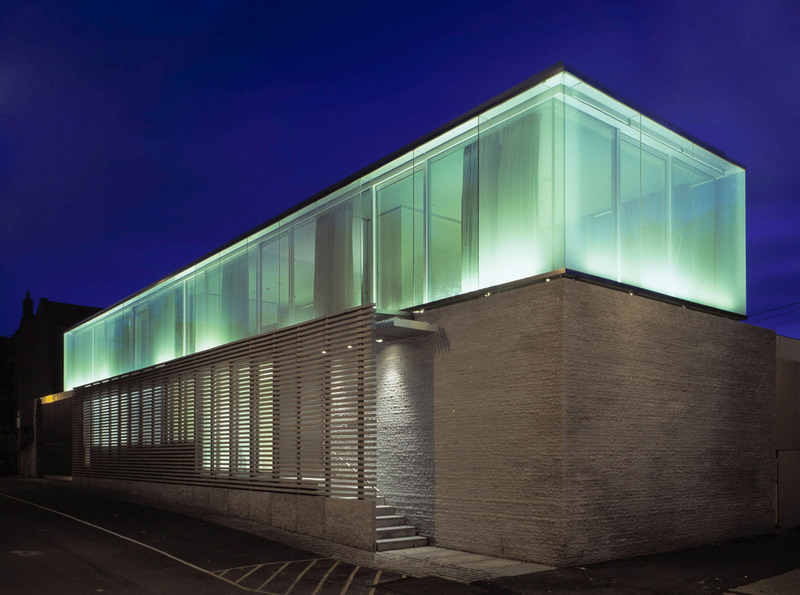 The exterior is predominantly recycled Tallowwood weatherboard and pre-weathered zinc cladding – RKA’s interpretation of the timber and tin tradition that is prevalent in the area. 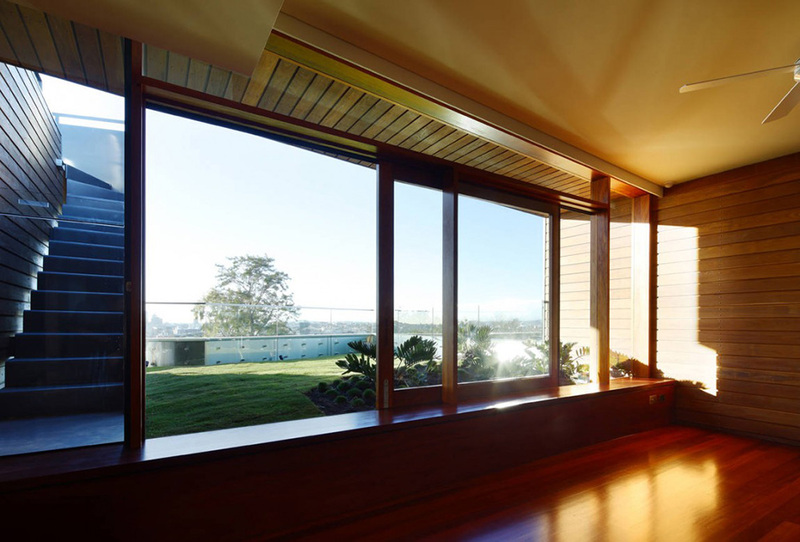 Sun-shading and privacy is achieved with operable timber screens and external venetian blinds that sit in front of a bespoke timber window joinery. 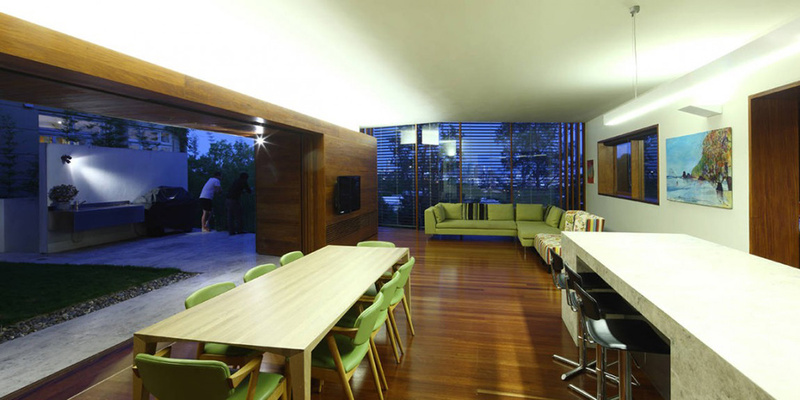 The planning of the house is organized to address the views towards the city on the North-East and Mt Coot-tha on the South-West. 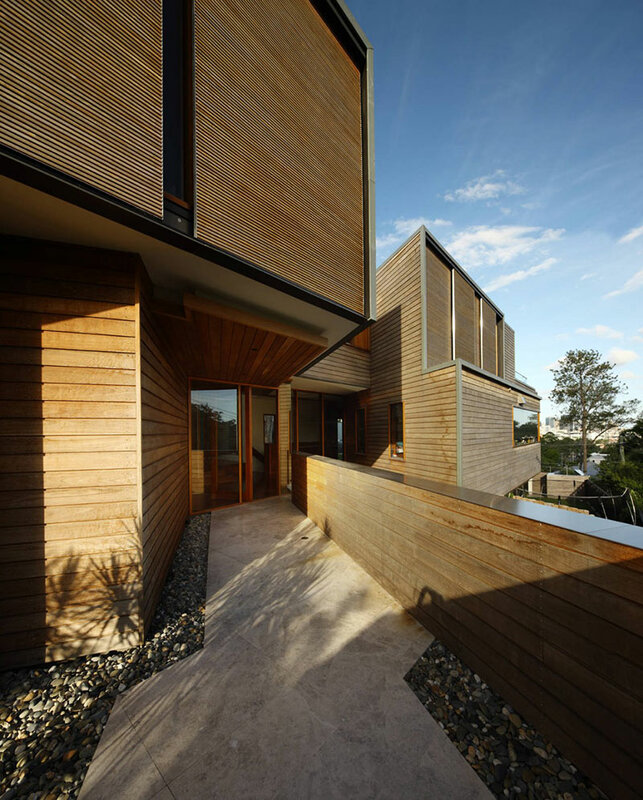 The resulting building footprint provides private courtyards and landscaped terraces adjacent to the main living spaces. 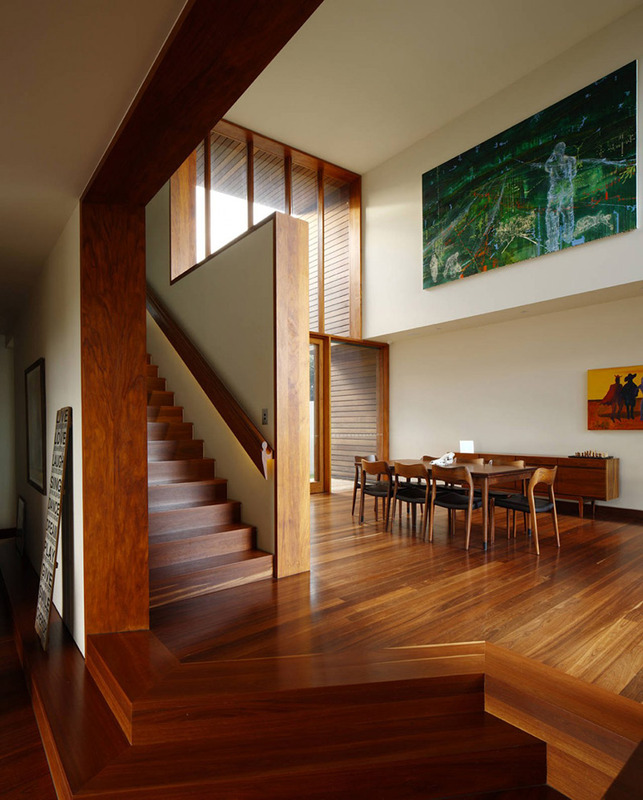 The interior is an ensemble of Red Mahogany timber flooring and Jarrah timber panelling on backdrop of white plaster walls and white-set ceilings.